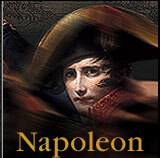 To play the Waterloo Interactive Battle Simulator, you must first choose whether to play as Napoleon (French side) or as Wellington (Allied side). The computer will play as your opponent. The game is played as a series of situations. The exact number of situations required to complete the game will vary, but expect to play about eight or so to finish the game. Mac users: You may need to download the Mac OS Runtime for Java plug-in from apple.com in order to play. Please note that Netscape will not run this game on the Mac platform. For more information see Help. The game begins with an Overview screen which will set the stage for the game. You then proceed to the first situation. British  these forces are under the control of Wellington. Prussian  these forces are allied with the British and although they are under the direct control of Blücher, you will be commanding these forces as Wellington in the game. French (other than the Imperial Guard )  these forces are under the control of Napoleon. Imperial Guard  these are the best French forces on the battlefield and are under the direct control of Napoleon. On the Decision screen, you will be given several battle strategies to choose from. You can click on each option in the list provided to see a short description and a map illustrating that choice. Select your choice, then click on the Continue button. At the same time you are making your decision, the computer, playing as your opponent, will make a decision for the other side. The impact of these two independent decisions will determine the battle outcome, although the exact result of this outcome can vary each time you play the game. You must choose your battle strategy based on what you expect the opposing forces will do  but there are no guarantees they will proceed as you expected. Based on the outcome of this situation, you then proceed to the next situation. As you progress through the game, your progress will be tracked to determine the final outcome. Historically, a Major Allied Victory was the outcome of the Battle of Waterloo. If you are playing as Napoleon, and you obtain any type of French victory or any outcome short of Major Allied Victory  even a Draw  then you have done better than Napoleon did. If you are playing as Wellington and you obtain a Complete Allied Victory (and thus the death of Napoleon on the battlefield), then you have done even better than Wellington did in the actual battle. Even if you make the same decisions, the course of the game and the final outcome can vary, so you will want to play the game several times to see the different possibilities. The final outcome of the game is a combination of skill and a bit of luck, not unlike the situation faced by Napoleon and Wellington. Heres your chance to compare your military skills with two of the greatest commanders in history. Your fate on the battlefield awaits you!